I will be reading at this event on Saturday, February 25th. 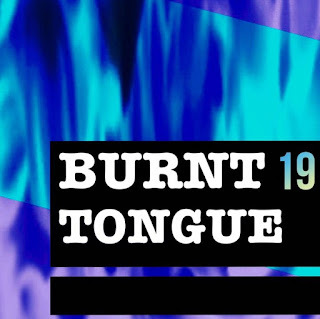 I am so excited and grateful to be invited to read at Burnt Tongue 19. Crush Bar here in Portland at 4:00. Some early for any hope of getting a seat. I know what I'm reading but I don't know what I'm wearing. And I finished editing the two pieces for the anthology today. And submitted them. Writing is definitely going well right now. Which is good. The WH continues the destruction of our country, and it was blatantly admitted that is the plan, well they said the structure - same thing. Continuing to keep up with what's happening and doing what I can and pushing my comfort zone in that area.